London: An ancient Greek trading ship dating back more than 2,400 years has been found virtually intact at the bottom of the Black Sea, researchers said on Tuesday. The team said the vessel, previously only seen in an intact state on the side of ancient Greek pottery, was found at a depth of more than 2,000 metres. 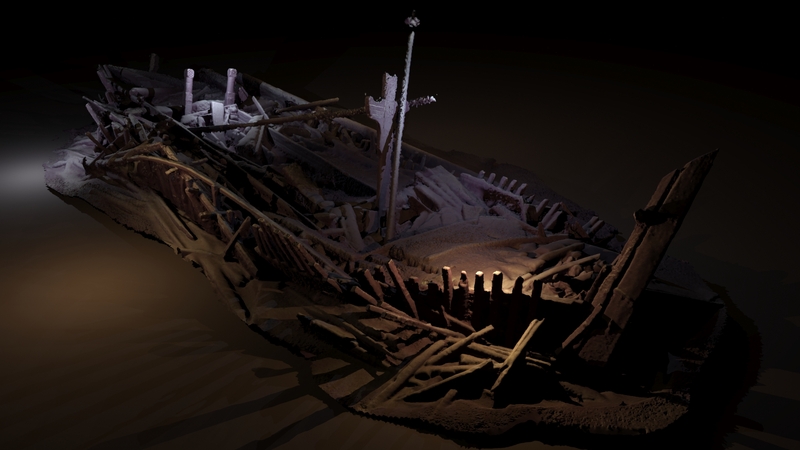 “A ship, surviving intact, from the Classical world, lying in over 2km of water, is something I would never have believed possible,” said Professor Jon Adams from the University of Southampton in southern England, the project’s main investigator.